Magician: On a piece of paper, draw a shape with corners. 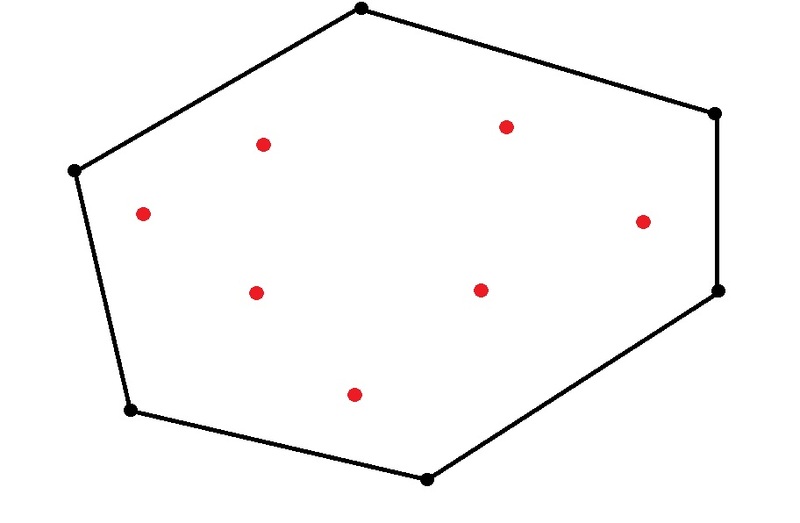 Magician: Now draw that many dots inside of your shape. Child: (starts drawing dots inside the figure; an example for ) While the child does this, the Magician calculates , writes the answer on a piece of paper, and turns the answer face down. 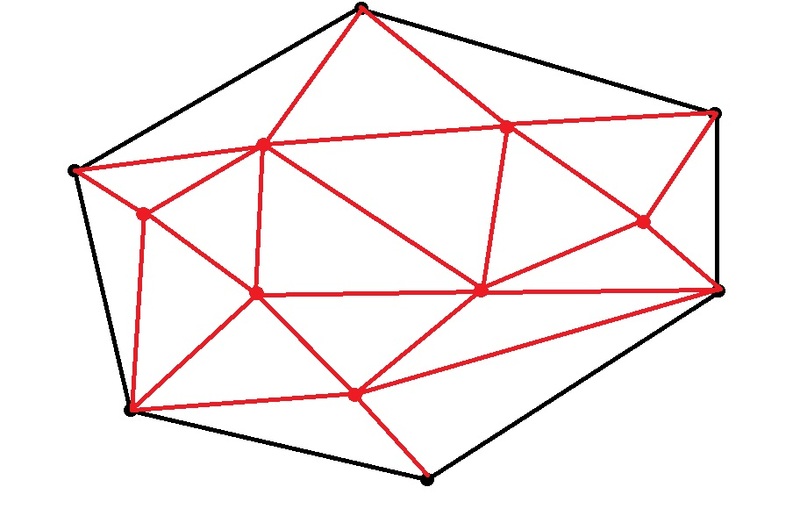 Magician: Now connect the dots with lines until you get all triangles. Just be sure that no two lines cross each other. Magician: Was your answer… (and turns the answer over)? This trick works by counting the measures of all the angles in two different ways. Method #1: If there are triangles created, then the sum of the measures of the angles in each triangle is degrees. So the sum of the measures of all of the angles must be degrees. Method #2: The sum of the measures of the angles around each interior point is degrees. 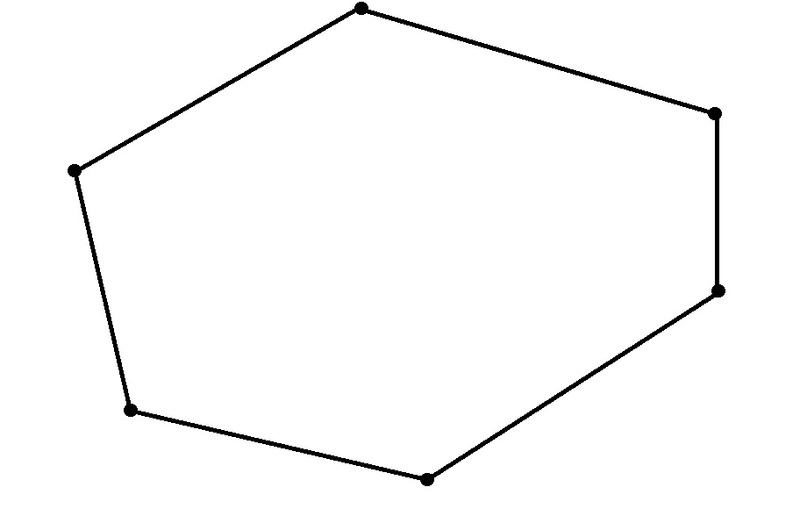 Since there are interior points, the sum of these angles is degrees. The measures of the remaining angles add up to the sum of the measures of the interior angles of a convex polygon with sides. So the sum of these measures is degrees. I’m often asked why it was important to choose a number between 5 and 10. The answer is, it’s not important. 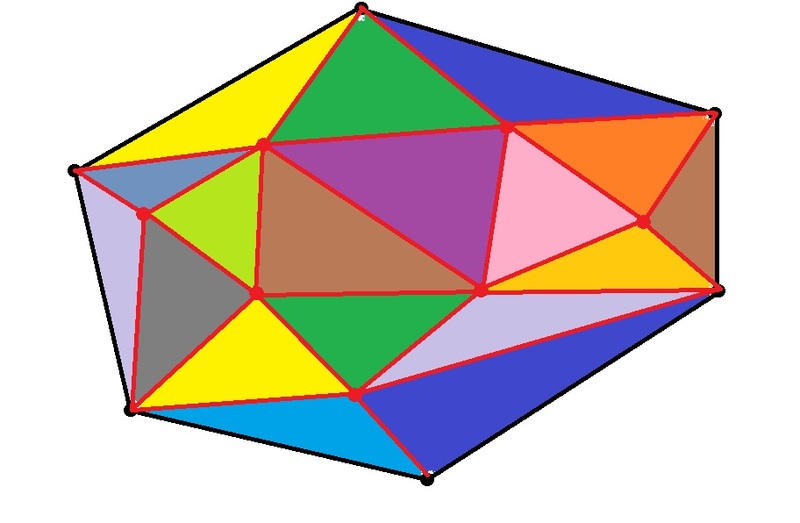 The trick will work for any numbers as long as there are at least three sides of the polygon. However, in a practical sense, it’s a good idea to make sure that the number of sides and the number of points aren’t too large so that the number of triangles can be counted reasonably quickly. After explaining how the trick works, I’ll again ask a child to stand up and play the magician, repeating the trick that I just did, before I move on to the next trick.